No matter what you choose to do while you’re on vacation in Las Vegas, you won’t be able to enjoy much of it if you’re hungover for a majority of the trip! If you find that you’ve imbibed a bit too much and you’re not sure where to find the best remedy, we’ve got you covered! Let’s go over some of the best places in the city to get relief from that pounding headache, light sensitivity and nausea! One of the best things about Las Vegas is that there are so many places that cater to the ‘hardy partier’ whose had a bit to much to drink! 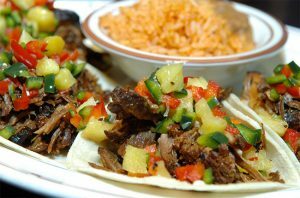 These locations have their own dedicated ‘Hangover’ style dishes that are sure to help you beat back the pounding in your head and the growling in your stomach! Slice of Vegas – Of course we all know, when you have a hangover, you want greasy food! Satisfy that post party craving by heading back to The Strip! 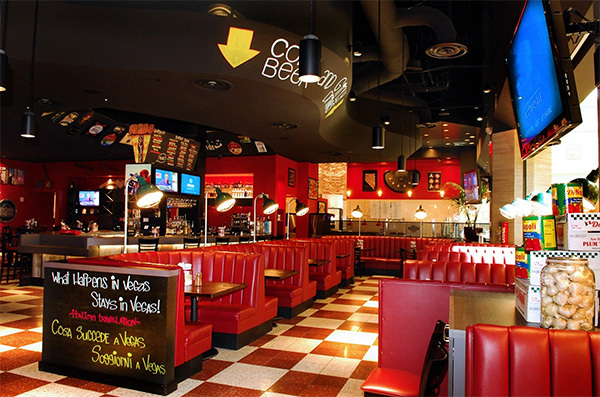 Head into Slice of Vegas for their aptly named “hangover pizza”! This delicious crust is sauced with gravy! Then it’s covered with sausage, green peppers, onions, fried potatoes, bacon, ham, mozzarella and scrambled eggs. I think I’m going to have a few drinks just so I can go get one! Oyster Bar – A very little known fact about oysters is that they contain a lot of zinc. Eating them can help boost your immune system after a night of heavy drinking, so instead of loading up on giant sized vitamins, grab a couple of shooters from the Oyster Bar at Palace Station. MTO Cafe – Not feeling a giant pizza after filling your tummy with rum? Maybe you’d rather bite into the “Hangover Burger” at MTO Cafe. This 8oz Angus burger comes with bacon and a fried egg, served up with Tillamook cheddar, lettuce and their signature burger sauce! Perfect for squashing any hangover-hunger induced mood swings. 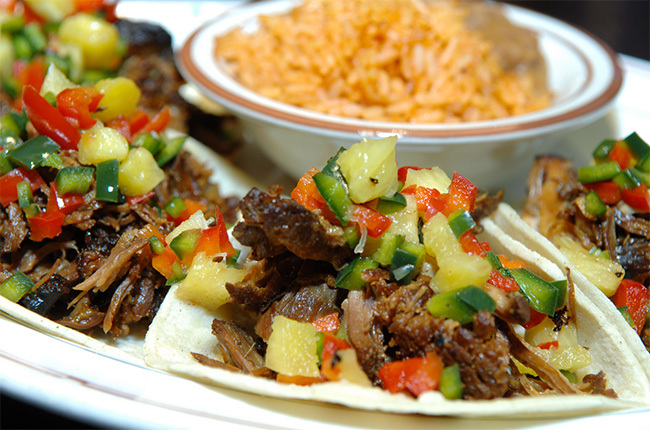 Hussong’s Cantina – It’s meals like this that make Vegas so great. Not only does the city promise to get you sufficiently smashed, they also offer to make up for it by creating dishes JUST for the occasion. Hussong’s has a delicious pozole soup designed just for this; amazing chile guajillo broth, seasoned pulled pork, onion, cilantro and hominy. This soup was invented to cure your hangover. If you’re suffering from a hangover of the extra obnoxious variety, it may call for a stronger cure. These are the best you can get when it comes to battling over-imbibing. Both options are great for getting back on your feet and back to the party fast! Reviv @ MGM Grand – While this location is very easily one of the most beautiful, permanent locations, Las Vegas has multiple types of “IV Recovery” services, some of which will come directly to your hotel room! 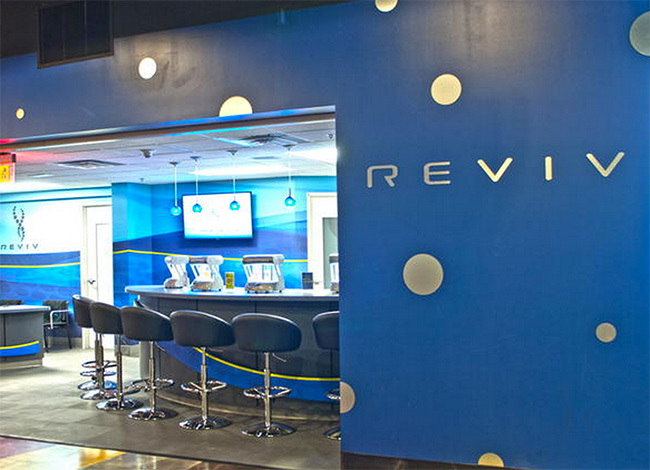 After a night of slamming shots and eating questionable meals, getting hooked up with an UltraViv Recovery Infusion at the MGM Grand Reviv location will get you back on your feet. It contains a mixture of B12 and other medicines to help treat nausea, dehydration and inflammation. LAVO – This hangover cure is really more like what you’re probably used to, in line with the popular phrase “hair of the dog”. Basically, you’re going to ease out of your hangover and straight back into being drunk. Too much fun on Friday? Check out LAVO at the Palazzo from 2-6pm on Saturday for the Champagne Brunch! You’re sure to find lots of treats to satisfy the hangover munchies as well as a mimosa bar and over 20 kinds of champagne! Sometimes what you really need is a quiet place to relax and regroup. Find your inner peace and sober up in serenity by visiting one of these great chill spots. 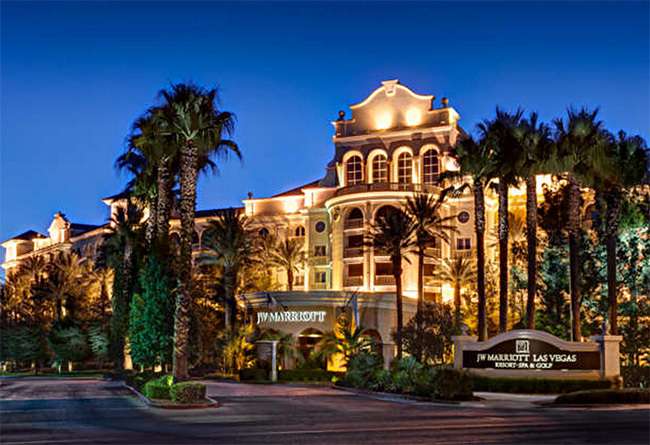 Get ready for another night on the town by spending a day in any one of the luxury recuperation locations. 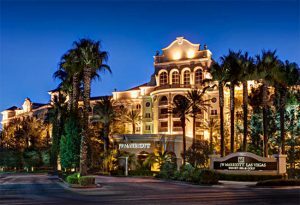 JW Marriot’s Resort and Spa – One of the great things about Spa Aquae, located in Summerlin, is that you don’t have to be a registered guest. Head over after a hard night(s) partying to enjoy a rejuventing calm and peach in the sauna room or steam room. Get away from your hangover and head to another place under the waterfall showers or let it all go in the indoor float pool. MGM Grand Hotel – You could rent a room anywhere, but if you know you’re going to party, we recommend booking a room at the MGM Grand Hotel. Here, the showers are Vitamin-C infused, the air is ultra-purified and the rooms come with ‘light therapy’ to wake you gently. Feel refreshed and revitalized as short bursts of soft blue light peacefully bring you back around. 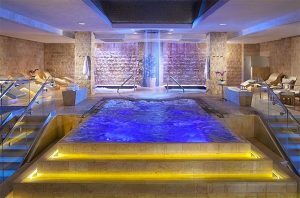 Caesar’s Palace Qua Spa – Even if you’re not a ‘spa person’, a visit to this sure hangover cure, Qua Spa, in Caesar’s Palace may change your mind. 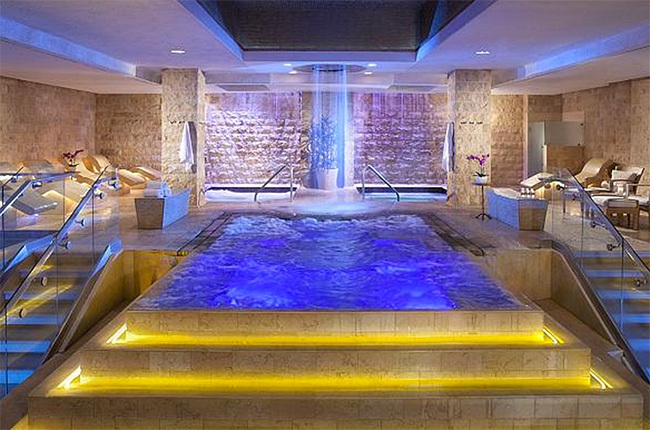 Very clean and spacious, the spa has a cold pool that will cure any hangover in 30 seconds or less! Beautiful lounges feature televisions, reading materials, free water, fruit and juice. Visit for a few hours to switch back from wild, to mild, and enjoy the rest of your trip! Keep in mind that sometimes, a hangover is more than a hangover, just be sure to keep yourself hydrated and let someone know if you begin to feel truly sick while drinking. Alcohol poisoning is nothing to mess with and regardless of how you plan to combat the hangover, you don’t want to hurt yourself to have fun! Remember, be safe and don’t forget to take pictures!